Comics. 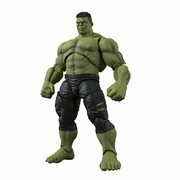 Created by Stan Lee and Jack Kirby, the Hulk first appeared in The Incredible Hulk #1 (May 1962) and has since become one of Marvel Comics' most recognized characters. 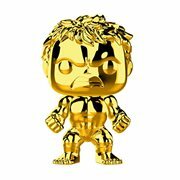 He has been featured in a number of animated series, a feature film directed by Ang Lee, and a television series with spin-off television movies starring Bill Bixby as Banner and Lou Ferrigno as the Hulk. 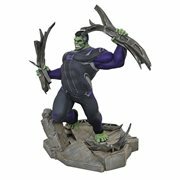 Find great deals on Hulk action figures, toys and merchandise! 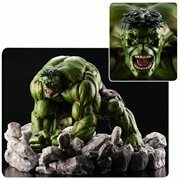 The Hulk (real name Dr. Robert Bruce Banner) is sometimes referred to as “The Incredible Hulk.” He is a fictional character, a comic book superhero appearing in publications from Marvel Comics. Created by Stan Lee and Jack Kirby, the Hulk first appeared in The Incredible Hulk #1 (May 1962) and has since become one of Marvel Comics' most recognized characters. 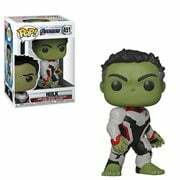 He has been featured in a number of animated series, a feature film directed by Ang Lee, and a television series with spin-off television movies starring Bill Bixby as Banner and Lou Ferrigno as the Hulk. 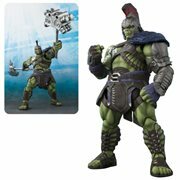 Find great deals on Hulk action figures, toys and merchandise! This article uses material from the Wikipedia article "Hulk (comics)" and is licensed under the GNU Free Documentation License.